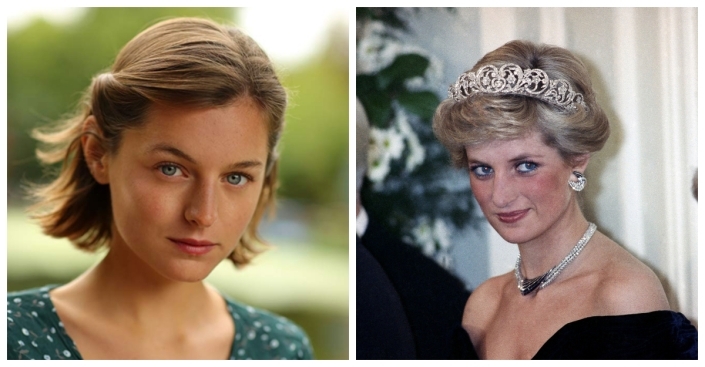 Emma Corrin will play Lady Diana Spencer in Netflix's royal drama. Corrin will first appear in season four of "The Crown," which is scheduled to begin filming later in 2019. "The Crown" season three, which does not have a premiere date yet, is the first to feature a new cast and jump forward in time. Corrin's a relative newcomer. Her credits include "Alex's Dream," a short film, an episode of "Grantchester" and the upcoming "Misbehaviour." "Emma is a brilliant talent who immediately captivated us when she came in for the part of Diana Spencer. As well as having the innocence and beauty of a young Diana, she also has, in abundance, the range and complexity to portray an extraordinary woman who went from anonymous teenager to becoming the most iconic woman of her generation," "The Crown" creator Peter Morgan told The Hollywood Reporter. "The Crown" tells the story of Queen Elizabeth II and her royal family. Claire Foy played the royal in the first two seasons and won an Emmy for her portrayal. Oscar winner Olivia Colman will play the monarch in seasons three and four. The season three cast also includes Tobias Menzies as Prince Philip, and Helena Bonham Carter as Princess Margaret. "The Crown" season three is expected to debut in 2019 on Netflix.